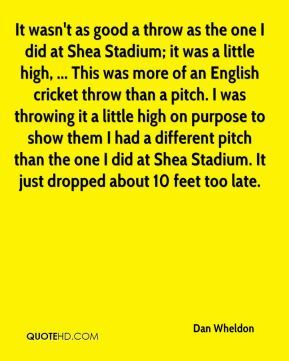 It wasn't as good a throw as the one I did at Shea Stadium; it was a little high, ... This was more of an English cricket throw than a pitch. 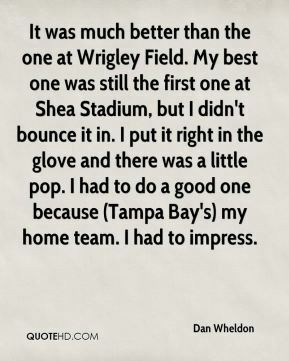 I was throwing it a little high on purpose to show them I had a different pitch than the one I did at Shea Stadium. It just dropped about 10 feet too late. I was kind of surprised (because) I was under the impression they were going to do it with younger kids. 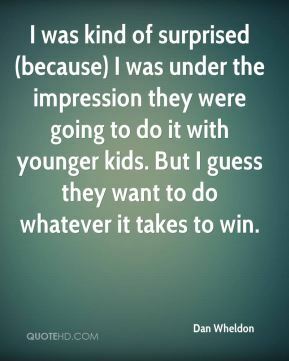 But I guess they want to do whatever it takes to win. This has been a dream come true for me. The best drivers in the world and the best teams in the world are here and I'm just so proud...Thank you everybody. I didn't expect the race to go like that, and I didn't think I'd forget to push the pit lane speed button coming into the pits. When you make an error, as long as you make up for it, it's a good day. We had an aggressive setup and were very quick in traffic. Once underway, the car was very, very good. 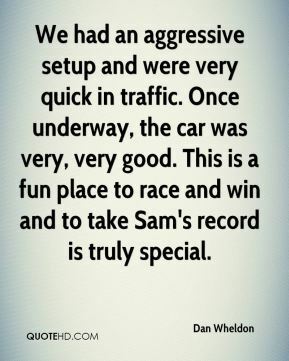 This is a fun place to race and win and to take Sam's record is truly special. 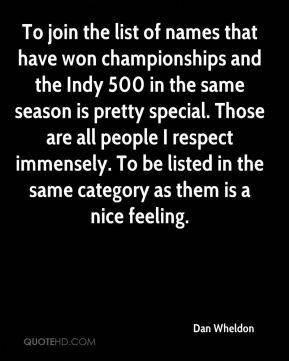 To join the list of names that have won championships and the Indy 500 in the same season is pretty special. Those are all people I respect immensely. To be listed in the same category as them is a nice feeling. 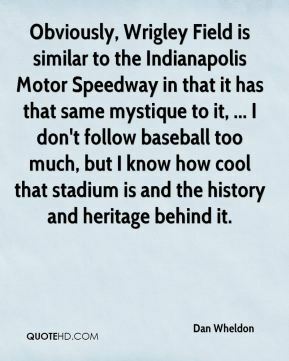 It was much better than the one at Wrigley Field. My best one was still the first one at Shea Stadium, but I didn't bounce it in. I put it right in the glove and there was a little pop. I had to do a good one because (Tampa Bay's) my home team. I had to impress. My three teammates have really helped me, and I thank them for that. It's an unbelievable feeling to have this after winning the Indy 500 because that means so much to me. You think you're asking for too much for a championship. It's taken all the energy out of me. To win both in the same year I think is an unbelievable achievement. I thought I would be able to do it in my career, but not so early. 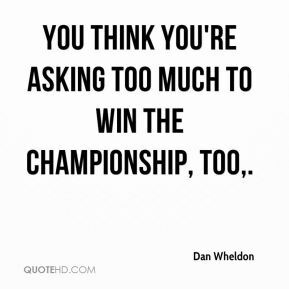 You think you're asking for too much for a championship. It's taken all the energy out of me. 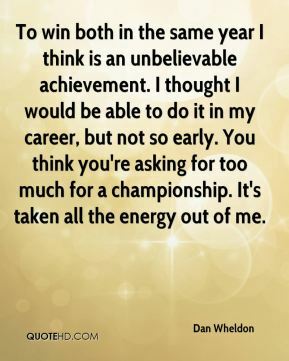 You think you're asking too much to win the championship, too. 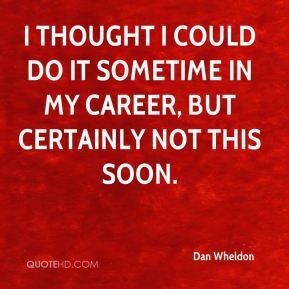 I thought I could do it sometime in my career, but certainly not this soon. I had a Sonoma race where I was disappointed in the result, ... I wanted to make amends for that. 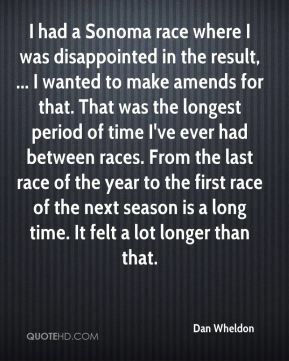 That was the longest period of time I've ever had between races. From the last race of the year to the first race of the next season is a long time. It felt a lot longer than that. 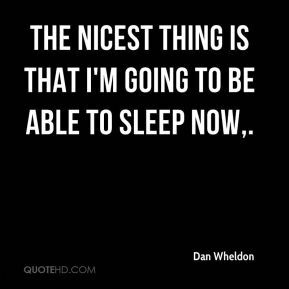 The nicest thing is that I'm going to be able to sleep now. 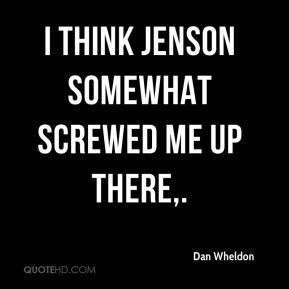 I think Jenson somewhat screwed me up there. 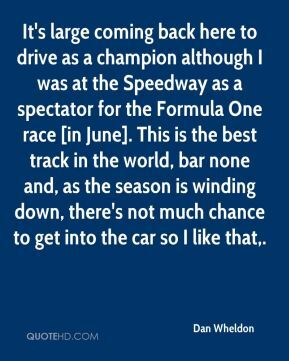 It's large coming back here to drive as a champion although I was at the Speedway as a spectator for the Formula One race [in June]. This is the best track in the world, bar none and, as the season is winding down, there's not much chance to get into the car so I like that. 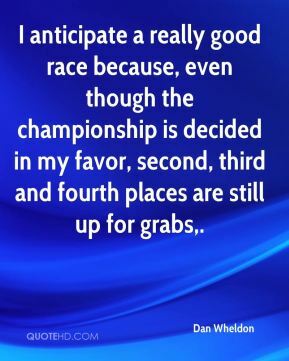 I anticipate a really good race because, even though the championship is decided in my favor, second, third and fourth places are still up for grabs. 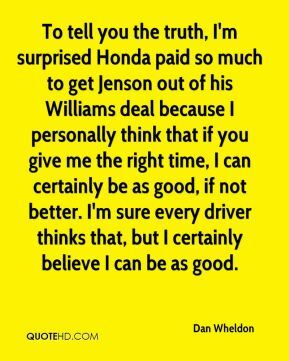 To tell you the truth, I'm surprised Honda paid so much to get Jenson out of his Williams deal because I personally think that if you give me the right time, I can certainly be as good, if not better. 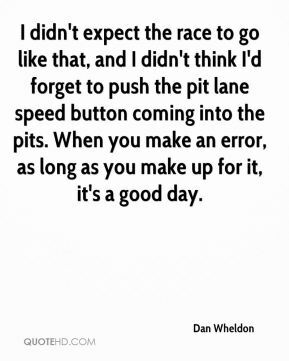 I'm sure every driver thinks that, but I certainly believe I can be as good. 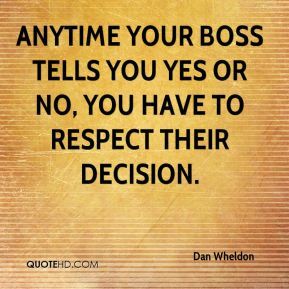 Anytime your boss tells you yes or no, you have to respect their decision.